Whether you have recently adopted, you are considering getting a pet, or you have rescued a stray from your community, one of the most important decisions to make is whether to spay or neuter your animal. The alteration process probably stems a lot of questions. But, no worries, we have the break down of everything you need to know and the top 5 reasons to spay or neuter your pet. Spaying and neutering, also known as “fixing” or “altering”, are the processes of removing the reproductive organs of an animal. A spay is the surgical removal of a female dog or cat’s reproductive organs so she cannot become pregnant. A neuter is the surgical removal of a male dog or cat’s testicles so that he cannot impregnate a female. Surgical spaying and neutering is performed by a veterinarian while the female or male animal is under anesthesia to prevent pain. After the surgery, an animal may experience some pain, but typically a veterinarian will provide medication to help ease the soreness. 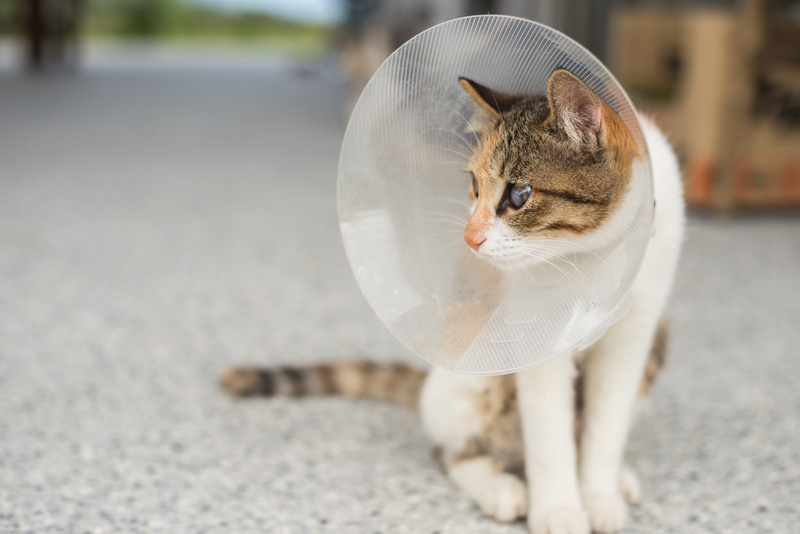 It is best to use a cone for the first few days to prevent your pet from licking the stitches, and to avoid rigorous playing, steps and running with Fido while they heal, which can take up to 2 weeks. Why should I Spay and Neuter my animal? Each day 70,000 puppies and kittens are born. That represents one human to 15 dogs/45 cats. As long as these birth rates exist, there will never be enough homes for all these animals. That’s thousands of newborn litters left without a home. Many of these litters are unable to find proper homes and end up either in shelters or on the streets. Spaying and neutering helps reduce the number of strays and unwanted animals in a community. Millions of tax dollars are spent every year to provide care for unwanted, abandoned and neglected animals, many of whom come from litters of household pets that could have been prevented with alteration. The number of homeless animals varies by state, however, in some states there are as many as 300,000 homeless animals euthanized in animal shelters every year. Nationwide there are more than 2.7 million healthy, adoptable cats and dogs that are euthanized in shelters annually. By spaying and neutering animals, we reduce the potential amount of animals on the streets and entering shelters, which reduces the amount of money spent for their care and the euthanization rates. 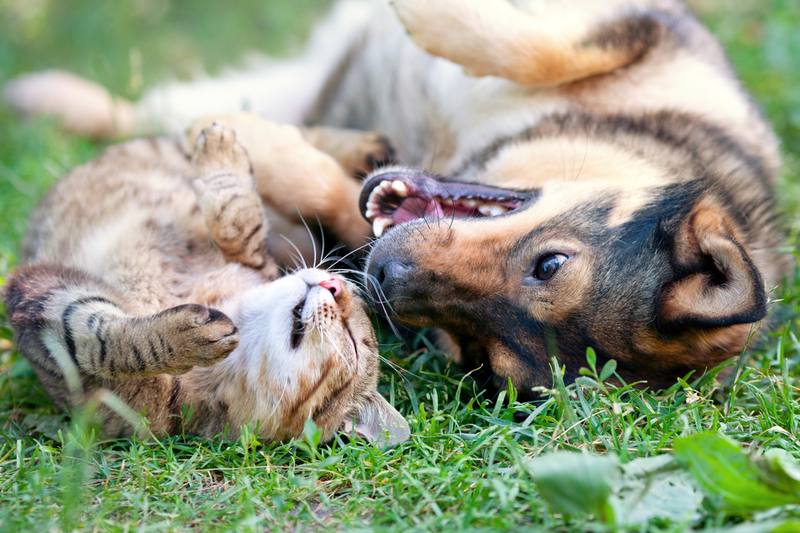 Spaying and neutering can help your furry best friend live a longer life! A USA Today article says that spayed/neutered pets live the longest. According to the report, neutered male dogs live 18% longer than unneutered male dogs and spayed female dogs live 23% longer than unspayed female dogs. Part of the increased lifespan of altered pets can be attributed to their decreased urge to roam, exposing them to fights with other animals, getting struck by cars, and other mishaps. Another contributor to the increased longevity of spayed and neutered dogs and cats involves the reduced risk of certain types of cancers. Unspayed female cats and dogs have a far greater chance of developing pyometra (a fatal uterine infection), uterine cancer, and other cancers of the reproductive system. Besides preventing unwanted litters, neutering your male companion prevents testicular cancer. It can also prevent perineal hernias and prostate disease. The cost of your dog or cat’s alteration procedure is a lot less than the cost of having and caring for a litter. It also reduces the chance that they will roam and get into fights with other animals, thus saving you the cost of a potentially life-threatening injury. Many states also offer free or low-cost spay and neuter programs that reduce the cost of the procedure. Unaltered animals are much more assertive and prone to urine-marking (lifting their leg or spraying) than fixed dogs and cats. Spaying or neutering your dog should reduce urine-marking and may stop it altogether, saving you from having to clean up a mess in the house, and the smell. Alteration can also minimize howling and the urge to roam. Spaying and neutering can also adjust an animal’s focus to their owner. This results in a stronger bond with your animal and a greater sense of love for both parties. In a study by PetSmart Charities it was found that one of the biggest motivators for adoption is the fact that most, if not all, animals from shelters are spayed or neutered when they are brought into the facility. In fact, in 2011, 41% of those surveyed said that they adopted because they wanted a pet already spay/ neutered/vaccinated. Surgical spaying and neutering is the most common procedure, however there are a few options on the alteration process if you decide to fix your pet. To ensure you make the right decision for you, your family and your pet, discuss these options with your vet. During surgical sterilization, a veterinarian removes the reproductive organs of your animal. Spay: The formal term for spaying is Ovariohysterectomy. The ovaries, fallopian tubes and uterus are removed from a female dog or cat. After the procedure she is unable to have a litter and eliminates her heat cycle. It will also suppress her instinctual breeding behavior. Neuter: The formal term for neutering is Orchiectomy. The testes are removed from a male cat or dog. This makes him unable to reproduce and reduces or eliminates male breeding behaviors. There is an approved product on the market called Zeuterin used to sterilize male cats and dogs. It is injected into the testes to stop sperm production and render the dog or cat infertile. Because not all of the hormone-producing cells of the testes are affected by the drug, hormones will still be produced. The state of Florida has many established free or low-cost spay/neuter programs that make surgery easily affordable and accessible. To find a low-cost program near you, take a look at some of our grant recipients in your area. Florida Animal Friend works to reduce pet overpopulation by providing grants to free or low-cost spay and neuter programs across the state. When you purchase a Florida Animal Friend license plate, $25 of every pet tag sold goes directly to fund organizations that offer these services. Please consider purchasing our Florida license plate today.